Tou Tou is my smallest mature female weighing just 3lbs 3 0z. 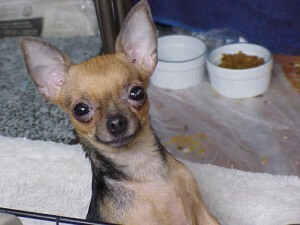 She is a beautiful tan and Blue Color, pure bred Applehead Chihuahua. 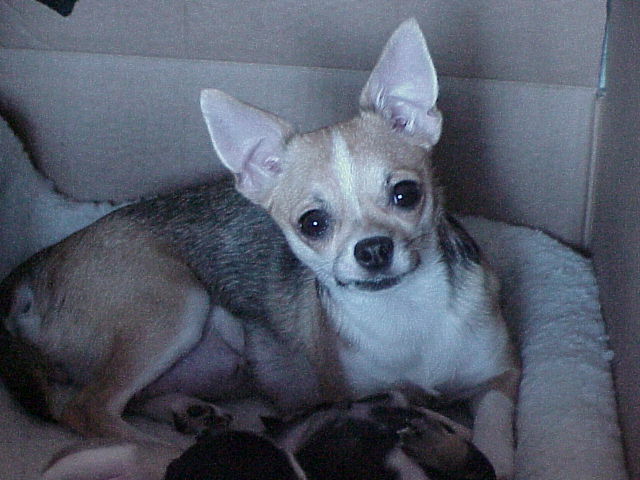 She was born July 2006 and is a devoted mother to her sweet little pups. She is the love of Tangos life. She is a wonderful mother. Sabrina is the largest of my lovely girls. 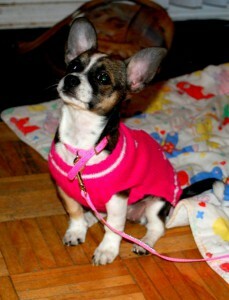 She is a purebred Deer headed Chihuahua. She was born Sept, 2009 and is a tri colored brown,white and black sable. She has a blue mearle 4 lb.mother. 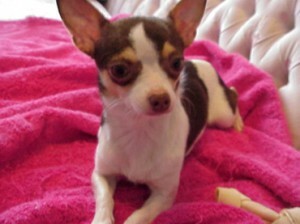 Her father is tiny, fawn and white and weighs just 2 two lbs 8 oz. She has long hair and short hair puppies. She was born on Vancouver Island in British Columbia. At 7 lbs 8 0z. she certainly exceeded our expectations. Dolly, mother to Bonnie, was born 15 April 2010. She is deep brown and tan. She weighs 5 lbs 2 oz. She is an apple head, pure bred chihuahua. She weighs 5 lbs. 2 oz. She is an excellant mother. Nadia was born here at Sunsets Chihuahuas on 28 Feb. 2013. 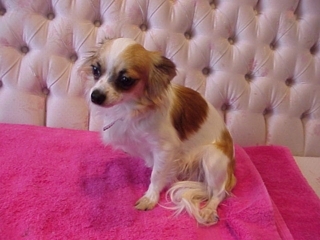 She is White with Choclate Brown, Black and fawn markings. 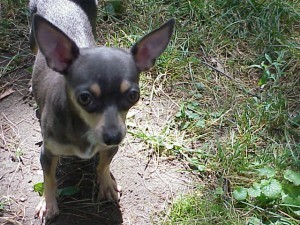 She weighs 4 lbs 3 oz. She is Lacy’s daughter.